The churchyard covers around five acres which includes a wild area, an extensive area of grass and two steep banks where over the years trees has been planted. It is cared for by parishioners whose aim is to make it an oasis of peace and tranquility. Visitors can make use of the numerous seats to sit and contemplate, as well as marvel at the panoramic views to the north over our neighbour Swindon and beyond to the Cotswolds on the horizon. A fine old yew dominates the front which protects some fine old tombs under its wide branches. 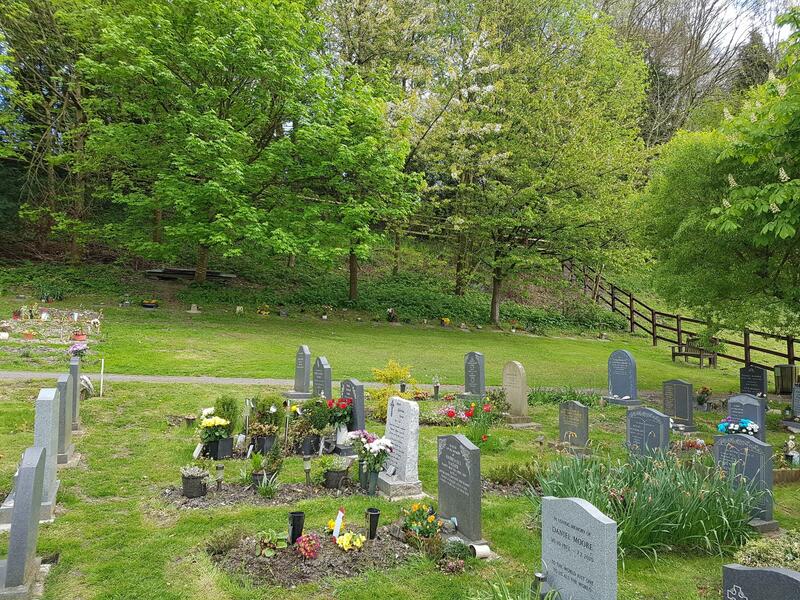 For many centuries the area around our church has been used both as a place to walk or sit, offering peace and tranquillity, as well as for burials. It has a special character which is appreciated by the many people who come to enjoy it and tend the graves of loved ones, or visit the Garden of Remembrance. Those looking after the churchyard take great pride in caring for the churchyard, and ensuring it is maintained and kept in good order. 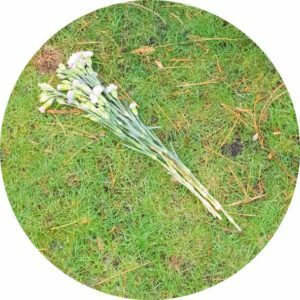 In order for the churchyard to be maintained properly, and so that it is a place for all to enjoy, it is governed by a set of rules and regulations. The regulations are made by the diocese and similar regulations apply to all churchyards across England. There are a very few local rules set by the Parochial Church Council. The rules and regulations cover monuments and memorials, the grave or ashes plot, and the Garden of Remembrance, and we respectfully ask that you adhere to them. This page gives a summary of the regulations. A full copy of the Diocese of Bristol’s Churchyard Regulations can be downloaded here. A copy of our Local Churchyard Regulations can be downloaded here. If you have any questions about anything in this page, please leave your details with the Parish Office, and a member of our churchyard team will contact you. 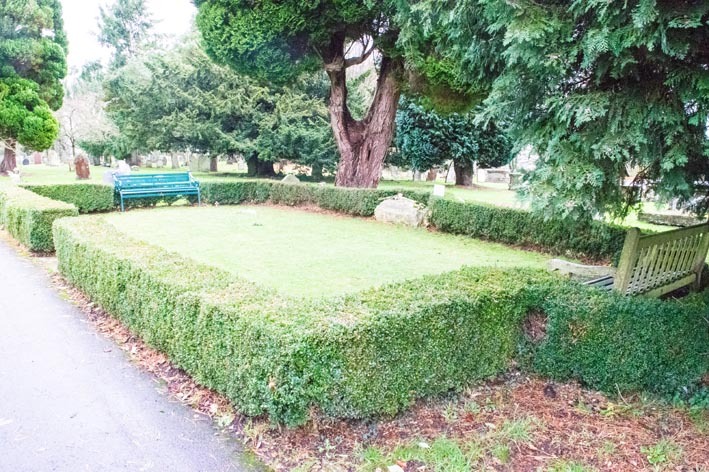 Anyone who lived or died in Wroughton or Wichelstowe is entitled to be buried in the churchyard so long as there is space. 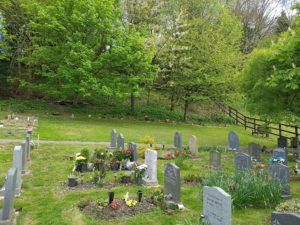 The churchyard is nearly full, and we are not able to extend the churchyard any further, so to make best use of the available space we do not allow grave spaces to be reserved. We usually ensure that each grave is dug deep enough that a second close relative can also be buried in the plot. If we know in advance, we can arrange for the grave to be dug deep enough so that three people can be buried in one grave plot. Ashes may also be buried in a family grave (see below), but not until all burials have taken place. Please note that, unlike in some civil cemeteries, the family has not bought the plot, and ownership remains with the church. a) No photographs, metal or plastic inserts, railings, chippings, statues, bird baths or other such artefacts are permitted on graves, except for placing flowers (see (b) below) – flowers may only be placed in a removable unbreakable container (glass vases are not permitted for safety reasons), or laid directly on the grave. c) Artificial flowers are not permitted. Most people now are cremated. Cremated remains may be buried in the churchyard. The scattering of ashes in the churchyard is strictly forbidden. To make the most of the available space all ashes are buried directly into the ground. We always do this in a way that the ashes are not visible. The current cremation plot is the Garden of Remembrance. Cremated remains may also be interred into existing family graves where there will be no further burials. Please contact the Parish Office to make a request. Where there is room cremated remains may also be buried in an existing family ashes plot. The Garden of Remembrance is designed to allow burials of ashes for many years to come even after the rest of the churchyard is full. To make this possible there are some specific rules relating to the Garden of Remembrance. Plaques, memorials and vases are not permitted in the Garden of Remembrance, as there is insufficient space between the plots. Each plot can be identified, using a grid system, so that a partner’s ashes may be buried together. Please let us know in advance of the first burial if this is your wish. The Garden of Remembrance has a large marker stone to indicate what it is, and a bench so that mourners and others may enjoy the peaceful surroundings. It is surrounded by a box hedge and is accessible to all. Visit a stonemason (monumental mason) – you can do this as soon as you wish, but remember it takes 9 – 12 months for the earth on a grave to settle, and permission cannot be given until a period of 6 months has elapsed since the death of the person. The churchyard rules show clearly what is permitted and local stonemasons are familiar with them and will be able to show samples of the type of stone, decoration and inscriptions that are permitted. The upkeep of the memorial, and the resulting costs, will be the responsibility of the heirs of the person whom it commemorates. However, the PCC retains the right to lay down a stone if it is found to be dangerous. If this happens we will try and contact you if we are able. A gravestone or memorial may not be moved or permanently removed without permission from the diocese. Where repairs are proposed, you should consult us through the parish office, so that we can determine whether permission will be required from the Diocese. We retain contact details of the relatives of those buried in the churchyard so that we can contact them if there is any question about further burials or the introduction of monuments. We retain contact details of those who have been given permission to introduce a memorial into the churchyard so that we can contact them if there is any question about the memorial (e.g. if it becomes unsafe or damaged) or if there is an application to add an additional inscription. A user friendly booklet Wroughton Churchyard – A Guide to the Churchyard Rules.